What a fantastic day with over 350 students displaying unbelievable quickness and skill resulting in very competitive and fast paced games. 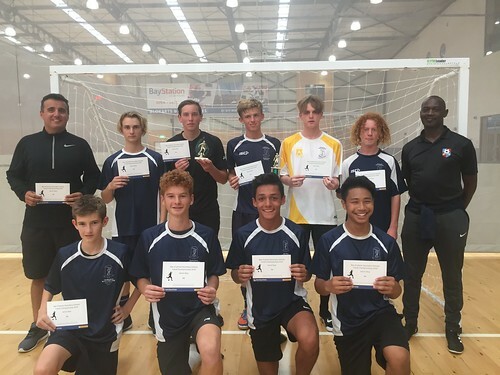 Tauranga Boys College junior and senior teams taking out both trophies. Girls top grade Otumoetai were a formidable force taking out the main trophy. To all the MVP each grade you certainly displayed exceptional skill and team work. Thank you to all teams the sportsmanship was noted and coaches you all did a fantastic job with your students. Thank you to Waikato BOP Football Cliff and his team of fantastic referees.